Alanna Demetrius | The Phoenix Redshirt senior Lindsey Brewis runs in the Lakefront Invitational Sept. 29. Alanna Demetrius | The Phoenix Runners start the Lakefront Invitational Sept. 29. 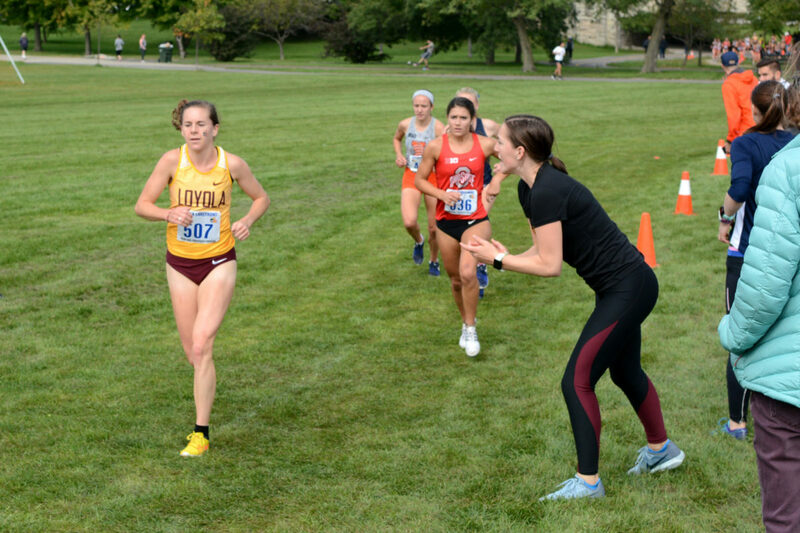 Alanna Demetrius | The Phoenix Runners complete the first lap of the Loyola Lakefront Invitational Sept. 29. 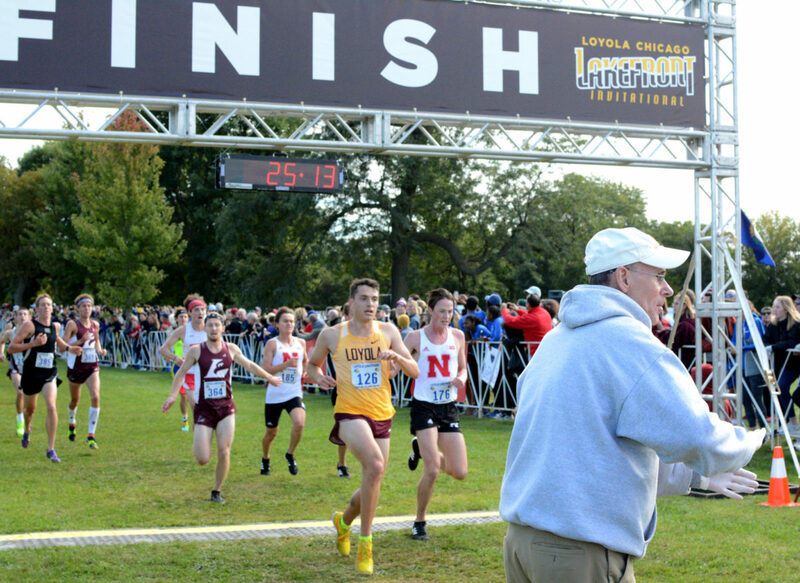 Alanna Demetrius | The Phoenix Senior Kevin White crosses the finish line at the Lakefront Invitational Sept. 29. 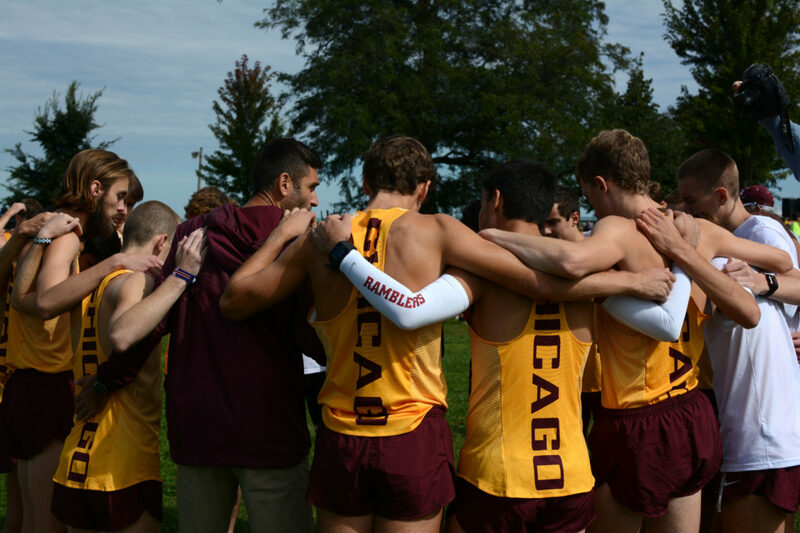 Alanna Demetrius | The Phoenix The Loyola men's cross country team huddles up before the Lakefront Invitational Sept. 29. 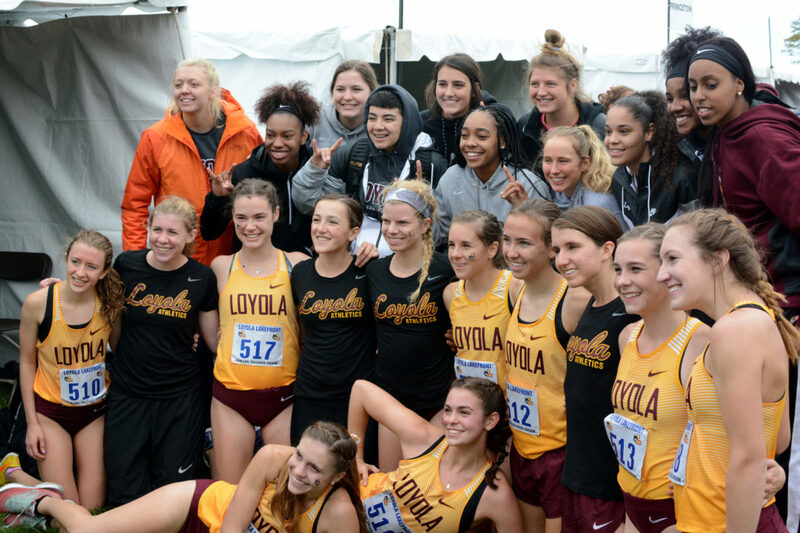 Alanna Demetrius | The Phoenix The Loyola women's basketball team poses for a picture with the Loyola women's cross country team at the Lakefront Invitational Sept. 29. 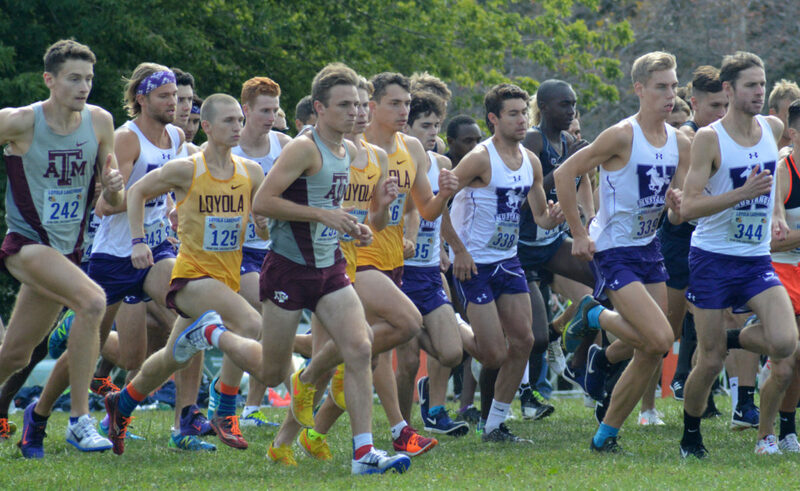 The Loyola men’s and women’s cross country teams hosted the Loyola Lakefront Invitational on Montrose Beach Saturday afternoon for the first time in six years. The women’s team finished eighth out of 32 schools in the 5K race and the men’s team finished 15th out of 26 in the 8K. The women’s team was led by redshirt senior Lindsey Brewis, who finished ninth out of the packed 380-runner field with a time of 17:05.67. Sophomore Mimi Reimers was the second Rambler to cross the finish line, clocking in at 17:58.13 — a new personal record. Senior Kevin White led the way for the men’s team with a time of 25:13.51 to finish 42nd out of 350 runners. Junior Derek Rink recorded a time of 25:35.18 to finish 86th. 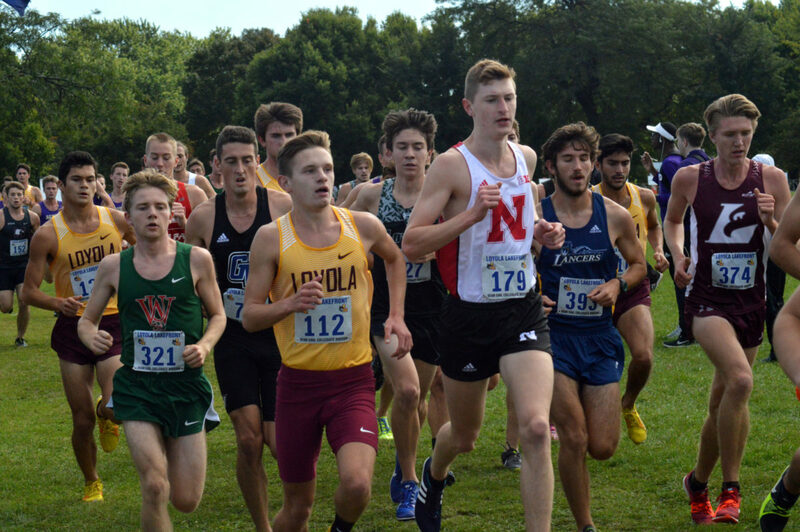 The Lakefront Invitational was brought back for the first time since 2012, marking the first time the runners have raced at home. 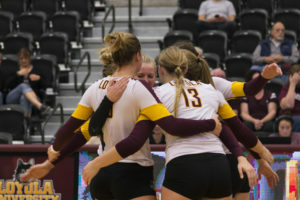 Many Loyola athletic programs came out to support the teams, including men’s and women’s basketball and women’s volleyball. Brewis said seeing her fellow Ramblers in attendance, along with other familiar faces, helped motivate her as the race got going. Some notable schools at the meet included University of Illinois, The Ohio State University and Texas A&M University. Rink said going up against such tough opponents helped improve Loyola’s times because the runners were going up against better competition. The Ramblers are scheduled to run in the Bradley Pink Classic in Peoria Oct. 12. As time passes, it may be possible to produce a great speech. ouugycad,This website truly has alll of the information and facts I wanted about this subject and didn?t know who to ask. ysqgctrwg,This website truly has alll of the information and facts I wanted about this subject and didn?t know who to ask.